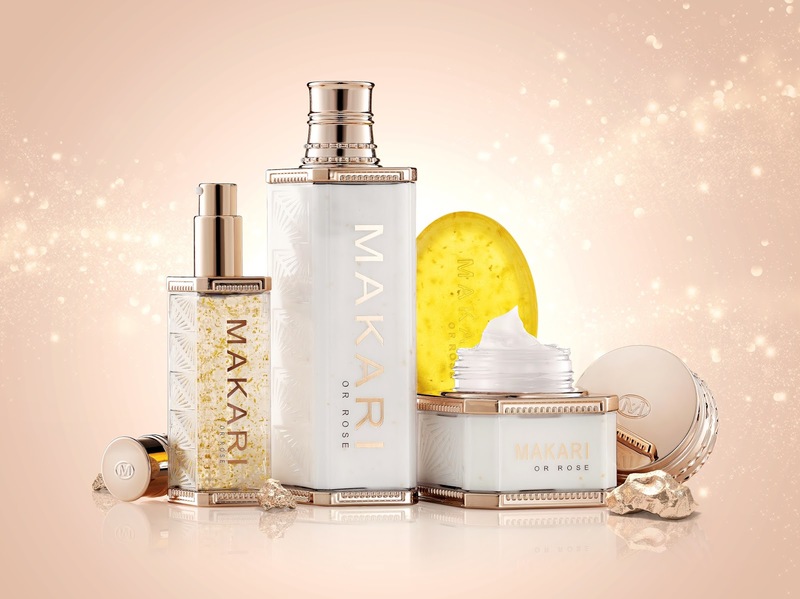 This is a special Makari de Suisse line that has 24K Gold and probiotics in it. The line is an anti-aging skincare line that works and works well. Read on for each product description and for what each product does. Read the declaration at the bottom for the item about the prices. This is a product you will definitely love. A luxurious rejuvenating and exfoliating cleansing bar infused with gold flakes that helps increase skin elasticity to make skin firm, toned and moisturized and also to help prevent premature aging. It works to remove impurities in the skin, leaving skin glowing and prepared to absorb the deep-penetrating benefits of Makari 24K Gold Or Rose caring botanicals. How to Use: Apply soap directly to wet face and neck once daily, morning or night. Massage gently in circular motions and rinse. Follow with Makari 24K Gold Lightening Serum. 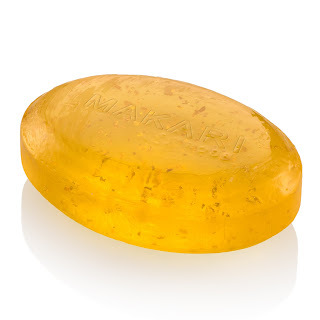 Those with sensitive skin may only want to use only want to use this soap once or twice a week. It actually works on the skin, it doesn't just cleanse it. This is more than just a cleanser, this is a treatment bar. It has gold flakes in it to help increase skin's elasticity and it removes impurities in the skin all while rejuvenating it too. What a job for a cleanser! This luxurious rejuvenating serum is infused with quick-absorbing gold particules that slows down collagen depletion, reduces wrinkles, fines lines and blemishes. Infused with probiotics, it helps to strengthen the skin’s barriers while increasing its elasticity to make it firm, toned and moisturized and help prevent premature aging. The gold dissolves on the skin's surface instantly and helps diminish the appearance of skin imperfections to create a flawless, lit-from-within glow. The highest and most potent concentration of our key, exclusive proprietary blend of brightening actives lightens skin complexion. Skin becomes beautiful, glowing and youthful. This is for all skin types, even acneic. How To Use The Lightening Serum: Apply a thin layer all over face in the morning after cleansing, avoiding eye area, and neck. Wait 2 or 3 minutes before applying Makari 24K gold or rose night treatment. This serum is amazing. It has gold and probiotics to help contribute to anti-aging. It is a gorgeous line that has a great product. I love the serum and what it does for my skin. It makes my skin glow. Not only that but it makes it more plump and more firm. Got rid of any fine lines. This luxurious rejuvenating crème is infused with quick-absorbing gold that works overnight to slow down collagen depletion, reduce wrinkles, fines lines and blemishes, all while the skin rests. Infused with probiotics, it helps to strengthen the skin’s natural moisture barrier while increasing its elasticity to make it firm, toned and moisturized and help prevent premature aging. Gold dissolves on the skin's surface instantly and helps diminish the appearance of skin imperfections to create a flawless, lit-from within glow. A high concentration of our key, exclusive proprietary blend of brightening actives lightens skin complexion. Skin is beautiful, glowing and youthful. Skin looks gorgeous. This crème is for all skin types, except acneic. How to use: Use once daily at night over cleansed face and neck. 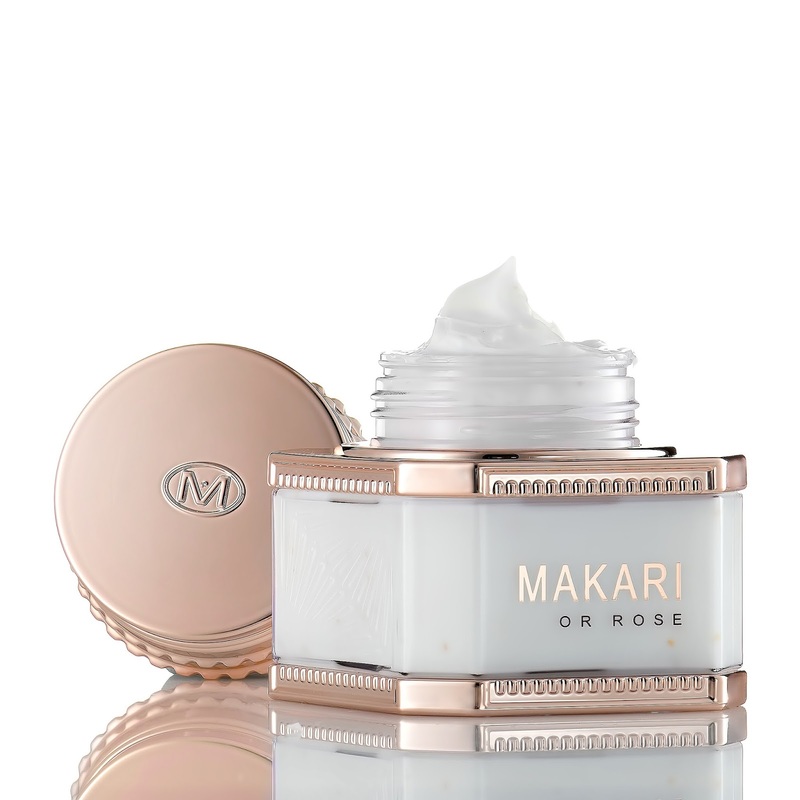 For best results, use after Makari 24K Gold Lightening Serum. This is a rich and luxurious crème that really helps to aid in the quest for a good anti-aging cream. I have found one. The 24 K Gold Night Treatment Cream is one of the best I'e ever used. The anti-aging propeties are amazing. It hydrates, moisturizes, firms, tones helps to prevent aging and helps with fine lines and wrinkles. Skin looks radiant. It's rare to see skin looking this good. A luxuriously rejuvenating body lotion infused with quick-absorbing gold particles that slow down collagen depletion, reduce wrinkles, fines lines and blemishes. This body lotion is infused with probiotics, so it helps to strengthen the skin’s natural moisture barrier while increasing its elasticity to make it firm, toned and moisturized and to help prevent against premature aging. Gold dissolves on the skin's surface instantly and helps diminish the appearance of skin imperfections to create a flawless, lit-from within glow. A high concentration of our key, exclusive proprietary blend of brightening actives lightens the skin's complexion. Skin looks beautiful, glowing and youthful. This lotion is good for a all skin types. How To Use: Apply once daily in the morning over cleansed body. I've never had a body lotion that actually did anything before. Most of them just keep skin moisturized. Having one that actually was anti-aging, well that is nice. I noticed a difference in my decolletage actually. Since that area is one where one would notice any skin difference, I can see how that would be an area where I would notice change with this kind of lotion. It helped to firm that area up and get rid of lines. To me that's enough. In that area skin tends to sag early and you notice lines soon after the sagging. Noticing a difference in those is nice in its own right. 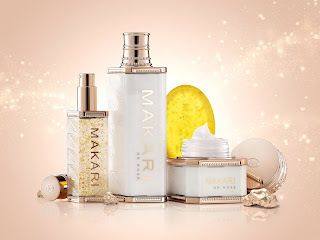 Makari de Suisse Skincare is available online at www.makari.com. Like Makari on Facebook: https://www.facebook.com/MakarideSuisse; Follow Makari on Twitter:@makari; Follow Makari on Instagram:https://www.instagram.com/MakariDeSuisseOfficial/ and Subscribe to Makari on YouTube:https://www.youtube.com/user/MakariUSA.